We know a lot of movie lovers are waiting with bated breath for a certain panther to emerge on the big screen — but if you’re more of a dog person, you may be more excited for the Chinese New Year at AMC. The Year of the Dog is finally upon us, and we’re ready for the festivities. We have plenty of films to share with friends or family — there’s definitely something for everyone at AMC. 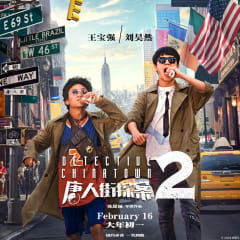 Travel to the Big Apple in DETECTIVE CHINATOWN 2. Our heroes end up in Manhattan, careening around the city and attempting to solve a murder before the victim’s father dies — only to see one murder become several, which means a serial killer is on the loose! Filled with some serious sleuthing, hilarious hijinks and great sights all around NYC, DETECTIVE CHINATOWN 3 will keep you chuckling and trying to figure out whodunit. 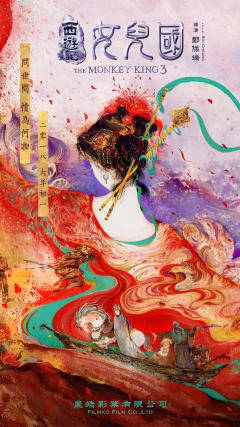 If you’re a fan of THE MONKEY KING, check out the third installment in the series. This adventure takes our King and his pals to Women’s Country, an actual island populated only by women, which almost seems like a distant cousin of Themyscira’s Amazons. Of course, our heroes aren’t as lucky as Steve Trevor, as the punishment for being male is death! With a fun mix of laughs and magic, THE MONKEY KING 3 is sure to be a crowd pleaser. And last but certainly not least is the much-anticipated follow-up to the colossal hit of 2015, MONSTER HUNT 2. The first installment broke the record in China for the highest-grossing film ever, and this time around should be even bigger. Set in the distant past where monsters and humans co-exist, the story begins when the most adorable monster ever (named Wuba) parts with his human parents to find his own way. But an enormous bounty is placed on Wuba, dead or alive, and he must team up with a notorious gambler in order to survive. 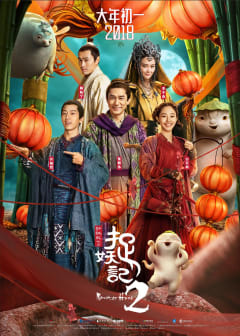 Filled with a myriad of amazing creatures and visually stunning special effects, MONSTER HUNT 2 is a must-see on the big screen and could just end up being a monster hit! Gather your friends and family to celebrate the Chinese New Year at AMC. Browse showtimes and get tickets to see these exciting films and more.